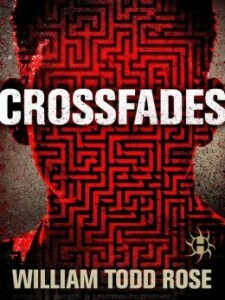 Crossfades by William Todd Rose is a novel that hovers on the borders of science fiction and horror, as Chuck Grainger navigates the Crossfades to usher souls out of a purgatory to where they should be. This limbo is the moment when one’s life is ending and a fantasy reality take over before the soul moves on, but in some cases, souls can be tricked into believing the fantasy is reality. Chuck is a Whisk who must guide these trapped souls through a maze of changing landscapes without becoming detached from reality himself. Through the help of Sleepers, those who are in a coma, Chuck can remain tethered to reality as long as his emotions remain in check. Chuck is a lonely man, and this loneliness is something that threatens to pull him over into the abyss even as he knows the Crossfades around him are not real. Whether trying to convince a little girl that her reality is long gone and that she must move on or finding an emotional connection with a frightened young woman, Chuck is tested. Rose clearly defines this ephemeral world and makes it real and mutable at the same time, and his characters are seeping with powerful emotion. Some readers, however, may find that this format — the novella — is too short to really connect with Chuck and his plight. In many respects, readers are kept at a distance because he does have to remain detached, at least until the last chapters. Crossfades by William Todd Rose explores the notion of purgatory and limbo really well, and examines what it would be liked to be trapped by one’s own fantasies — good or bad. Rose has created a world that can be manipulated by the individual soul and by a mastermind who seeks to take over the alternate world. 1. Crossfades by William Todd Rose for TLC Book Tour in May. 2. 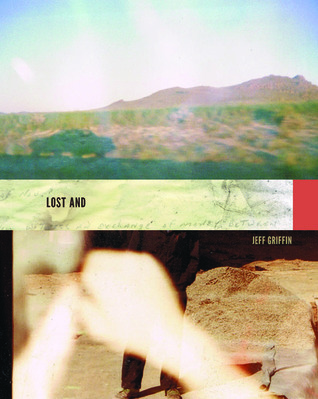 Lost and by Jeff Griffin from NetGalley. Ever since he was a child sitting in the back of his parents’ car, Jeff Griffin has been taking explorative journeys into the desert. In 2007, as an art student, he started wandering the back roads of the Mojave Desert with the purpose of looking for a place to reflect in the harshly beautiful surroundings. What he found were widely scattered postmodern ruins—abandoned trailers and campers and improvised structures—whose vanished occupants had left behind, in their trash, an archaeological record of astonishing richness and poignancy. 3. The House of Hawthorne by Erika Robuck for review from Penguin Random House and so I can moderate at the Gaithersburg Book Festival this month. 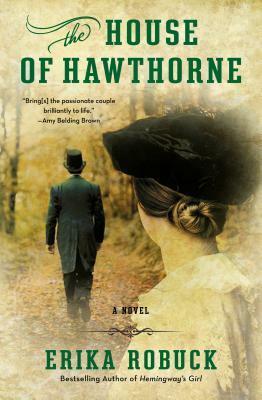 Spanning the years from the 1830s to the Civil War, and moving from Massachusetts to England, Portugal, and Italy, The House of Hawthorne explores the tension within a famous marriage of two soulful, strong-willed people, each devoted to the other but also driven by a powerful need to explore the far reaches of their creative impulses.